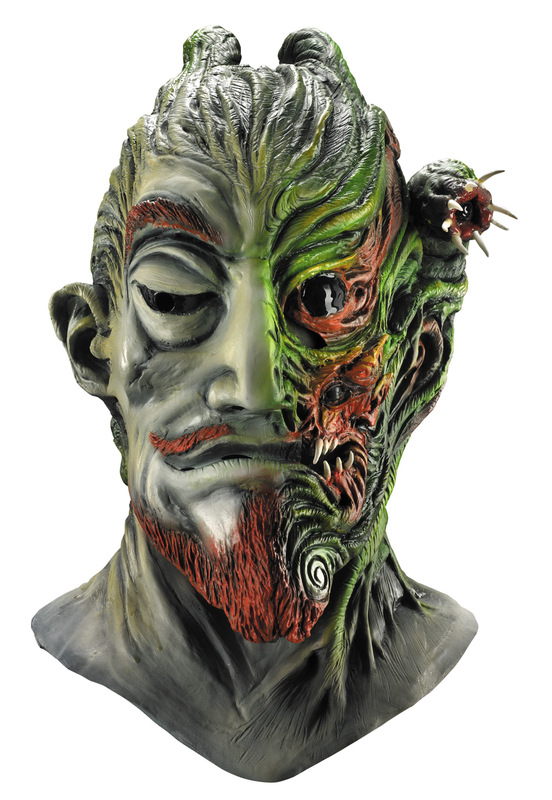 A two-sided mask. It appears as though a man is morphing into a monster! Gruesome!